Aluminum metal is lightweight and resistant to dents, making the bottle durable and easy to carry while camping, backpacking and hiking. The secure bottle lids require only a quarter twist to remove, so you will not have to waste time turning away to get to your drink. No matter what your adventure, Liberty Bottleworks is a safe and convenient way to carry your hydration. Besides unbeatable function, Liberty Bottleworks Waterbottles also feature unique artwork from numerous artists. No matter what your personal style, you can find a bottle to compliment it. Some are wilderness themed to pair well with camping and other excursions, while others are simply artistic and beautiful. 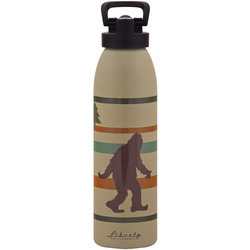 For example, the Hide and Seek Waterbottle has a colorful horizontal stripe pattern with a tree and bigfoot design to compliment wilderness excursions. The Hide and Seek is made from recycled aluminum and keeps your water BPA free. It comes in 24-ounce and 32-ounce sizes. 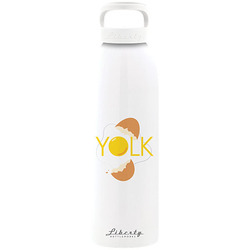 The Liberty Bottleworks Rollin Waterbottle features a classic-looking design with the brand's logo and white and red coloring. Like other Liberty Bottleworks bottles, the Rollin Waterbottle features BPA free materials and recycled aluminum. It comes in a 24-ounce and 32-ounce size. The bottle is also conveniently recyclable, not that you will ever want to get rid of it. 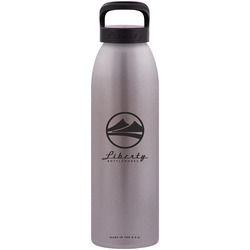 If you want a design that is both artistic and outdoorsy, you cannot go wrong with the brand's Rimrock Waterbottle. 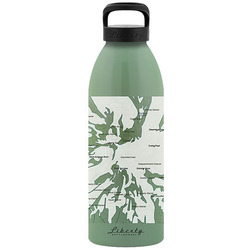 The bottle has a white background with a mountainous landscape design and trees. It is a clean design that will inspire you to get back out to the mountain and climb that great peak or adventure amongst the trees. 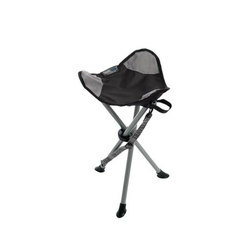 The BPA free, recycled aluminum material is deep drawn for outstanding durability on rugged adventures. It is available in 24-ounce and 32-ounce sizes. Hydration is one of the most important aspects of being active, and the vessel for your water can greatly impact your outdoor experience. Liberty Bottleworks bottles can be packed into a backpack waterbottle pocket, secured onto a bike or carried in the car easily. Even if you are not about to go on any excursions, Liberty Bottleworks bottles are an excellent reusable and environmentally-friendly container for work, errands or around the house if you want to minimize waste. The brand is committed to sustainability and uses recycled and recyclable materials. 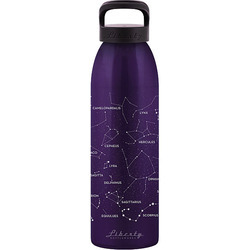 The bottles come in a range of styles to suit individual color preferences and interests, and they will not leach anything harmful into your drink. Search around the world and it will be difficult to find a healthier and more environmentally sound drinking container than a Liberty Bottleworks Waterbottle.